Moving into a property with a pool gives many homeowners a sense of self-sufficiency. With this backyard feature, you can get away from it all without even leaving the house. However, if you have children, a swimming pool can be more of a hazard than a stress-reliever. To ensure your little ones are safe, take advantage of the following tips from Pool Scouts of McKinney Northeast and DFW in Northern Collin County, TX. If your children are just learning how to swim, it’s important to pad their efforts with quality life vests. These will keep them afloat as they learn to navigate the water with their arms and legs, as well as give them a sense of confidence. Keep an extra few life vests on hand in case your children invite friends over, and encourage them to keep the safety devices on at all times. These days, life vests are manufactured in a variety of fun and eye-catching colors, so your kids may even look forward to putting them on. Most pool accidents occur when children get in without adult supervision. 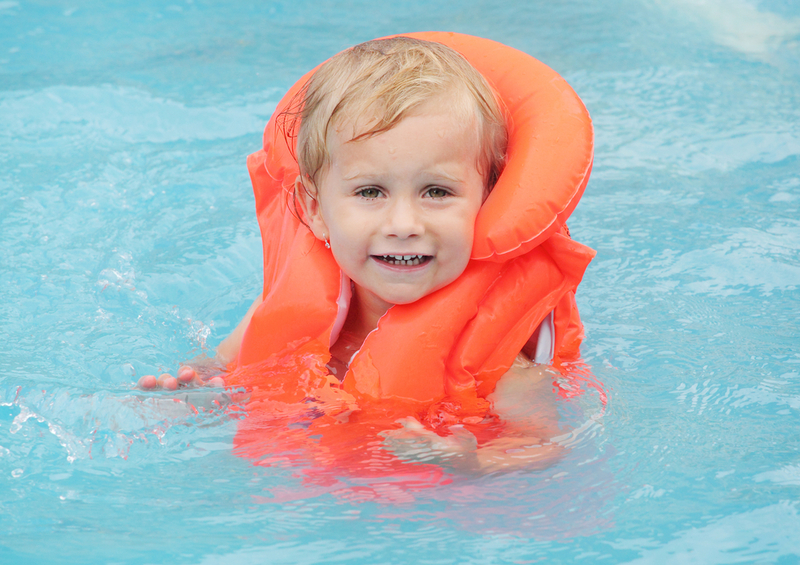 Even with a life vest, it’s possible for your child to have trouble if they’re just learning, so never allow them in the pool if you’re not around. If you need to step away momentarily, have another adult supervise, or ask your child to get out of the pool and come with you. In this case, it’s always better to be safe than sorry. If your children are very young, there is a chance you may not be able to effectively communicate yet. In other cases, your little one may just be feeling mischievous. While this is normal, it’s important to be prepared for these scenarios by installing a childproof gate around your pool. If your child can’t gain access to the pool without your help, they won’t be able to get hurt. For more information about pool safety and essential equipment like gates and life vests, turn to Pool Scouts of McKinney Northeast and DFW. This franchise is proud to offer a satisfaction guarantee on their repair and cleaning services. For more information on their capabilities, call them at (469) 352-9191. You can also visit the website to view their full-service area.